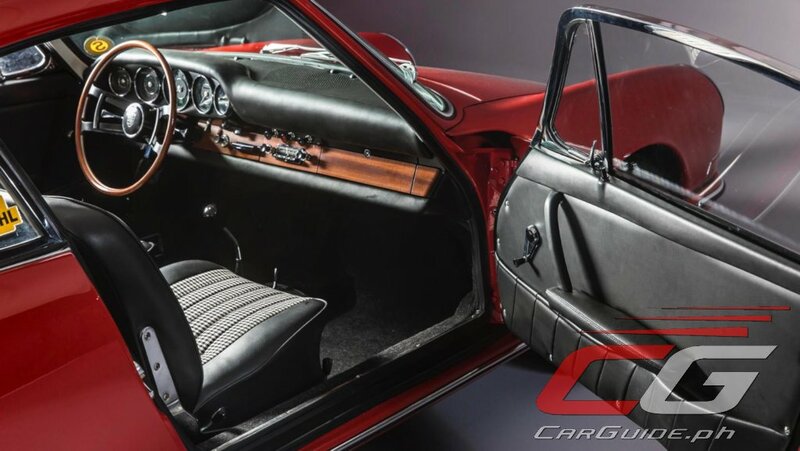 A curious television crew and a single phone crew was all it took for one of the oldest Porsche 911s to return home to the Porsche Museum. 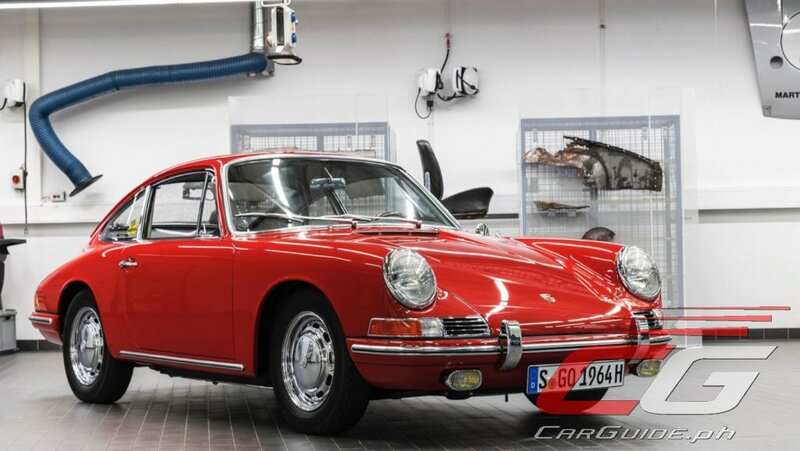 For over 50 years, the Porsche factory collection has lacked the “901”—the original Porsche 911 that was presented to the public for the first time in 1963. 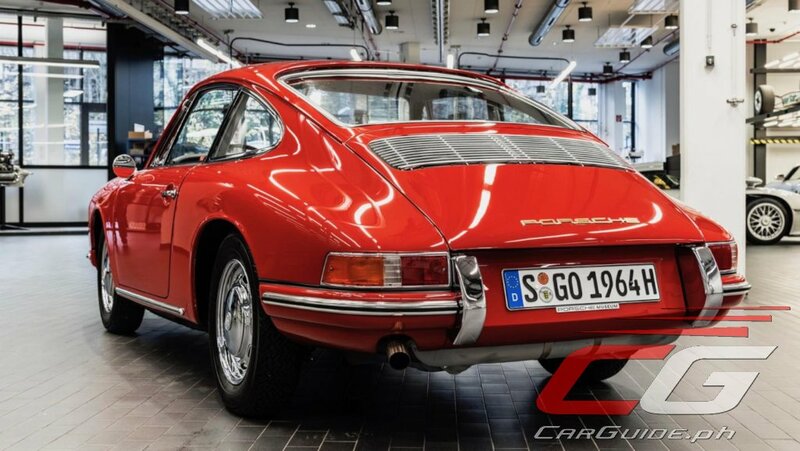 But when Alexander Klein, Manager Classic Car Collection at the Porsche Museum received a phone call from a German television station, RTL2 about a couple of barn finds, Klein immediately identified the chassis number 300 057 to be one of the first 911 vehicles ever produced. Eleven days later, two experts from the Porsche Museum went to a former farm in Brandenburg to inspect it. 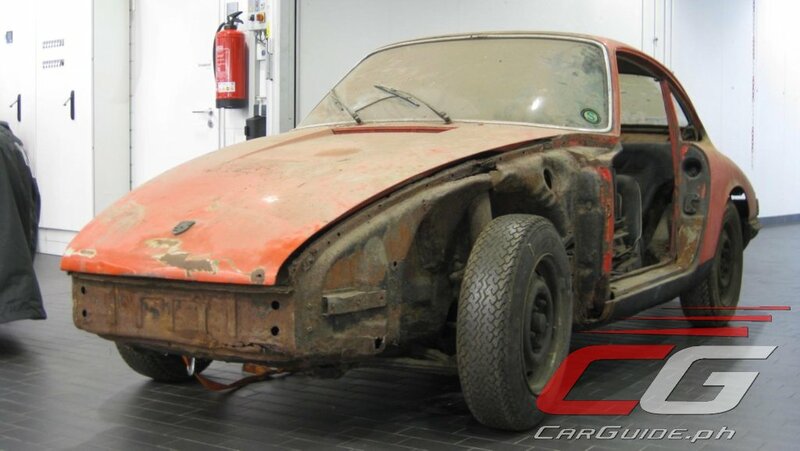 At the very back of the barn, for the most part still covered by a thick layer of dust, the two visitors from Zuffenhausen found the remains of a red 911. Both of its front wings were missing and large sections of the vehicle had already been eaten away by rust. Save for the instrument panel, most of the interior consisted of mere fragments. The brakes were seized, and so was the engine. But the chassis number was pristine, and it proved beyond all doubt that the vehicle was an original. One of the museum team’s long-cherished dreams was finally within reach: To have in its collection a 911 from 1964. Porsche paid 107,000 Euros (PHP 6,377,000), far beyond the seller’s expectations. Nicknamed “Number 57”, the car was brought in to the Porsche Museum where it underwent an extensive restoration process. As usual, the restoration of the Number 57 started by completely disassembling the vehicle. This was done gently and with great care. Even if it proved impossible to save a particular component, there was still a chance that it could serve an important function as a sample part. 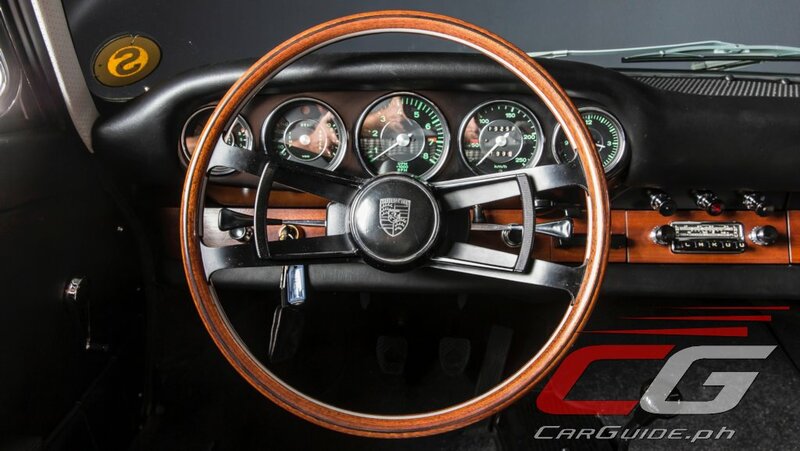 The individual parts of the early 911 were then sent to a network of specialists at Porsche Classic and suppliers, as well as body engineers, saddlers and, upholsterers. 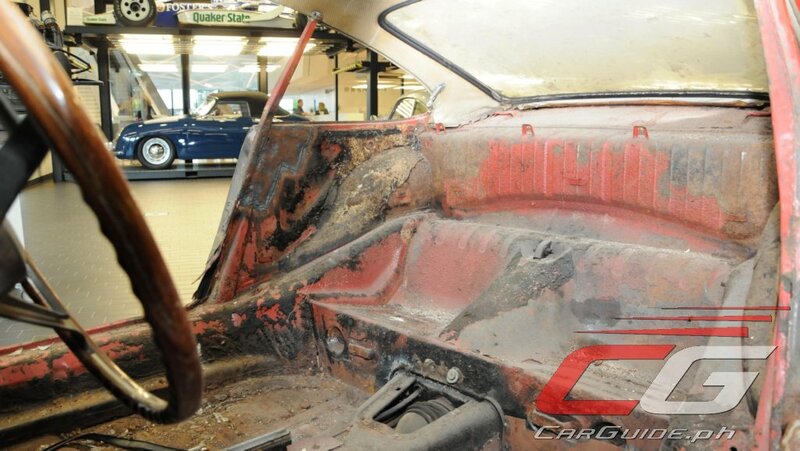 After it was stripped out, the remaining “torso” was put into a chemical bath for de-rusting and paint removal. The surfaces that were uncovered were in exactly the same condition as when they were sealed over 50 years ago. Discoloration in the metal indicates that it has been welded or that grinding machines have been used. If blasting had been carried out, however, these traces may disappear because the blasting materials alter the surface. This is particularly important in the area of the chassis number, which is stamped onto a cross plate above the tank. The Number 57 was the original. Before diving into the vehicle, the experts had assumed that over 50 percent of the body had been destroyed. It now turned out that over half of the sheet metal was worth preserving. 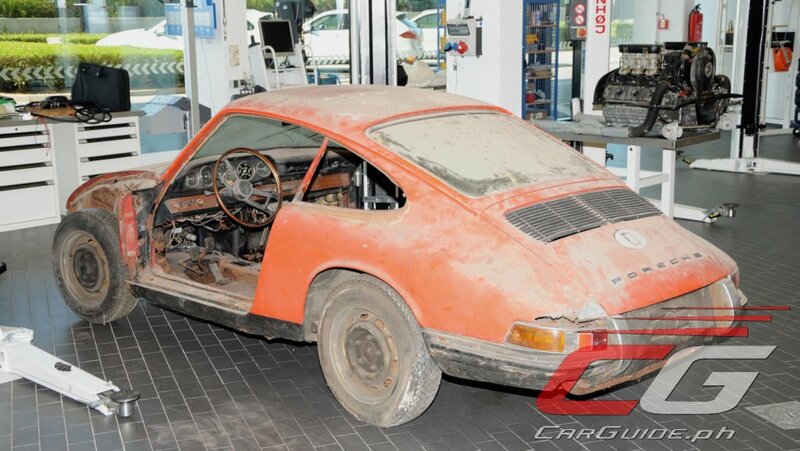 The parts that needed to be replaced were supplied by the bodyshell of a 911 vehicle from 1965. This guaranteed that the composition, characteristics and quality of the sheet metal and steel would be as authentic as possible. The body engineers took the “donor” vehicle apart into its individual components. The body engineers molded and welded the steel and sheet metal for around 12 months. Piece by piece, the torso of the Number 57 was restored to its original condition. Then came the precision grinding stage, which involved mounting the glazing, bumpers, door handles, antenna, headlights, and trims, as well as all add-on parts from Porsche Classic, on the unpainted body. 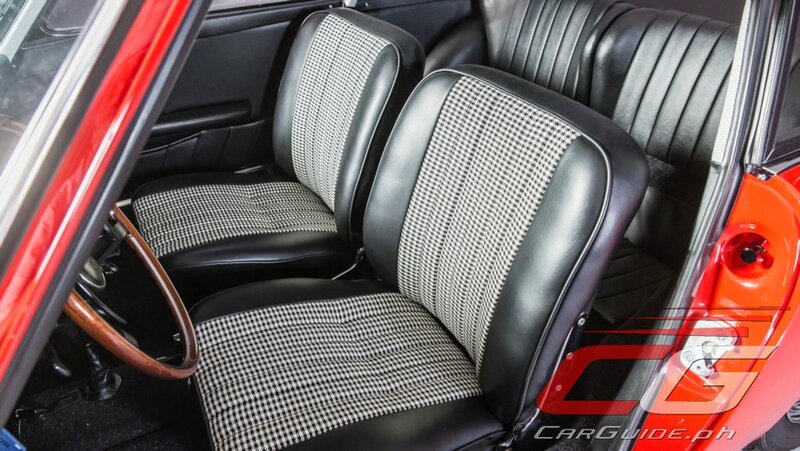 By doing so, the experts ensured that the clearances in the body all matched up, as well as the distances and symmetries of the bumpers and overriders, panels and grilles. Even very small deviations were reworked or adjusted with bodywork tin. 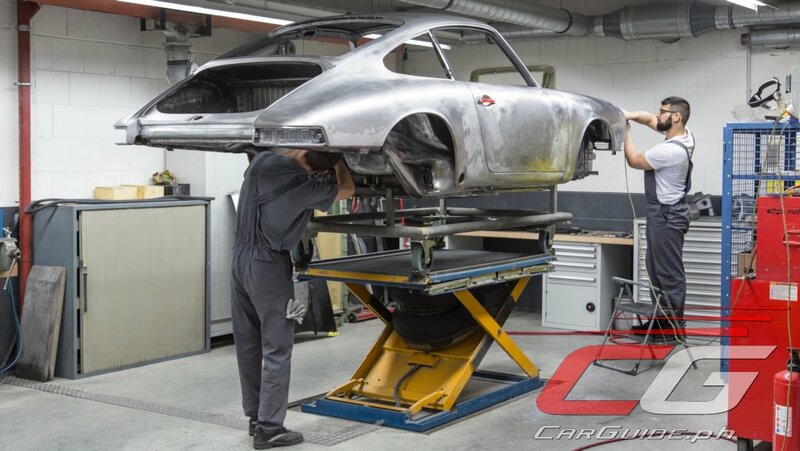 The Porsche training workshop has traditionally acted as a supplier to the restoration workers. Detailed sheet metal work and paints are the most common items on the wish list submitted by the museum workshop to these trainees. In the case of the Number 57, for example, the museum ordered a bracket for the exhaust system and a brake anchor plate. The trickiest task for the budding body engineers was the restoration of the ashtray. The rear third of the slide-in unit had rusted away and the chrome-plated support with a rectangular hole for a cigar was missing. It was typical in models from 1964 for the rectangular hole and thus the cigar holder to disappear as early as the following year. Both needed to be replaced. Modelers from Weissach provided a wooden mold into which the trainees tapped, pressed, and rolled the fragment of the ashtray. But even for the Number 57, authenticity has its limits. When it came to the layers of paint, for example, the restoration workers opted for modern coating processes and their superior protection against corrosion. 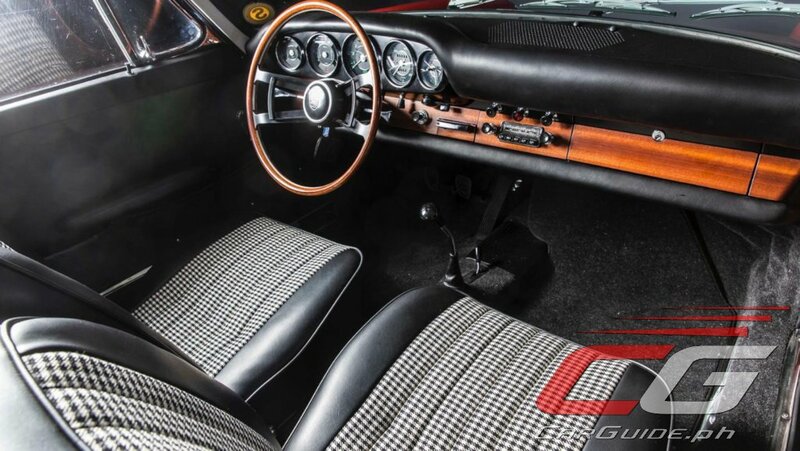 The body of the classic vehicle was therefore dipped in the same cathodic dip coating bath as today’s 911 vehicles. Authenticity also had to take a back seat in respect of the Signal Red 6407 paint color. Instead of the original mixture of solvent-based paints, the specialists developed environmentally friendly water-based paints. In line with the original plans for the application of black paint, the red paint was also covered in certain areas – such as around the cutouts for the fittings – in order to prevent the color showing through the gaps. However, the luggage compartment and the underbody were given a PVC coating, just like in the original. 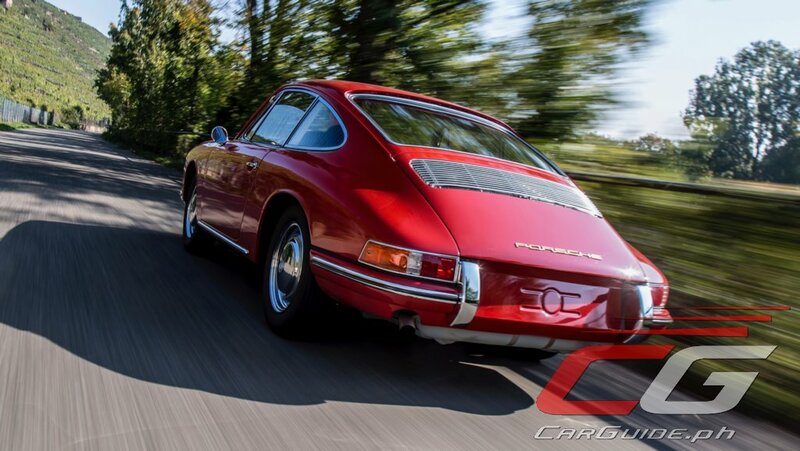 Porsche Classic took on the task of reviving the engine. The cylinder heads and control system could be removed without any problem, but the pistons were stuck fast in the cylinders. The crank mechanism was then rebuilt in its entirety from new genuine parts. However, it was possible to restore the cylinder heads. Over the course of around 120 working hours, the six-cylinder engine was painstakingly restored to perfection. One of the reasons it took so long is because of the care required. Even the smallest of mistakes might have irreparably damaged this historically significant machine. On top of that, a significant amount of intuition and creativity were often required. 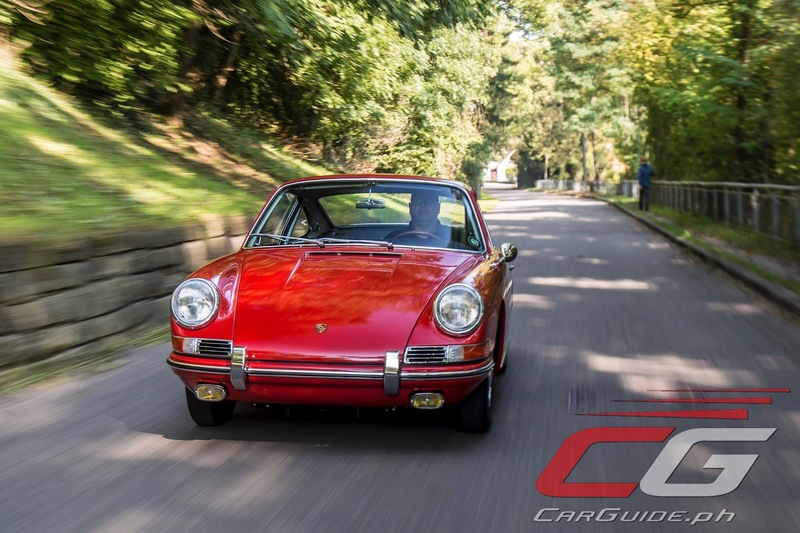 Many of the parts were not held in stock by Porsche Classic. For example, certain clips on the carburetor linkage had to be reworked in order to restore the original synchronous control. 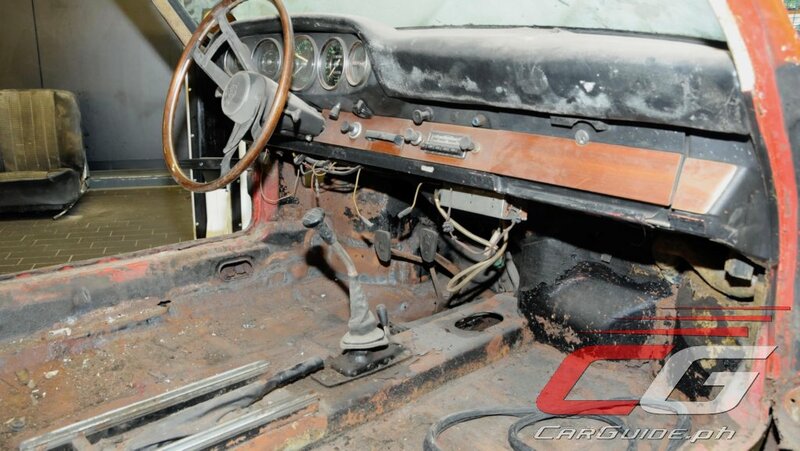 The chassis and drive, seats, and fittings gradually returned from restoration. But there were a large number of areas that still required work during assembly. Some of the problems were extremely detailed in nature, like the shape of the screws that had originally been used to mount the indicators. It was possible to retain all of the original glass in the vehicle, but the cable harness was replaced with an adapted replica for a 911 vehicle in the later F series. In order to restore the original design of the interior roof lining, the restoration workers had put the best-preserved piece carefully to one side when disassembling the vehicle. The square pattern of holes seen in the very early 911 vehicles was later replaced by a diamond shape. The original tool was one of the few from the 1960s that remained intact. This spiked roller, which was used to stamp patterns when repairing the roof lining or the panels, made it possible to restore the original pattern of the interior roof lining. In summer 2017, the “marriage” of the Number 57 took place as the flat engine returned to its rightful place. After some final fine-tuning, the oldest 911 vehicle in the Porsche Museum was given its new lease of life in the autumn. Number 57 is now on display at the Porsche Museum.